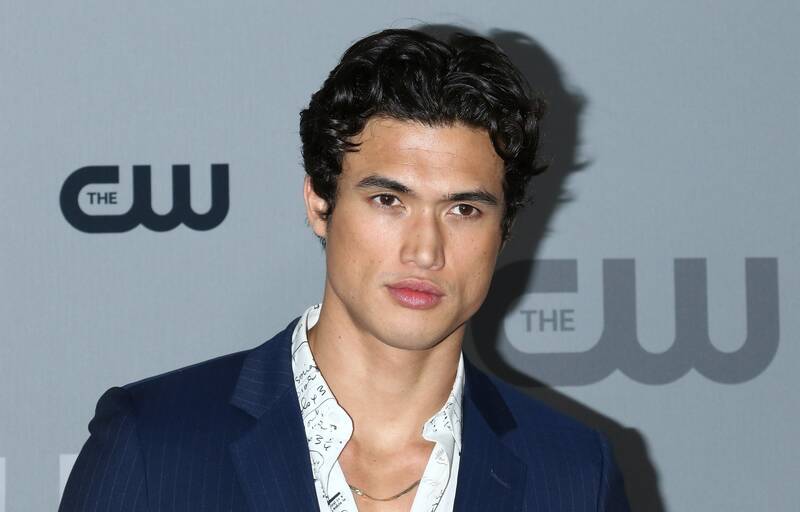 Charles Melton - Bio, Ethnicity, Age, Height, Parents, Is He Gay? Home Actors & Actresses Charles Melton – Bio, Ethnicity, Age, Height, Parents, Is He Gay? Charles Melton – Bio, Ethnicity, Age, Height, Parents, Is He Gay? Hollywood is an industry where fresh talents are often given an opportunity to blossom and even though he is not yet as popular as some big stars in the industry, Charles Melton has managed to buy the hearts of quite a lot of people for his portrayal of the role Reggie Mantle in the 2017 CW television series ‘Riverdale’. Charles Melton first appeared in season two of the series as Reggie Mantle, taking the place of Ross Butler who had to relinquish the role as a result of scheduling conflicts with ’13 Reasons Why’. Apart from being an actor, the upcoming young star is also a professional model. The rising actor was born on January 4, 1991, in Juneau, Alaska, but spent his childhood in Manhattan, Kansas, alongside his only sibling Tammie Melton. He is an Asian-American. Although Charles Melton gained admission into Kansas State University, where for two years, he was part of the football team (Division 1), his passion for entertainment made him abandon his academics and as fate would have it, he was discovered at the Applause Rising Talent Showcase (ARTS) in Orlando, Florida. He kick-started his modeling career in 2012 by walking for Park & Ronen and VLOVNew and has not slowed down since then. He has taken part in the Dolce & Gabbana lookbook and has also been featured on the cover of Prestige magazine, a monthly French magazine dedicated mostly for women’s fashion, jewelry, and lifestyle. Charles made his first appearance in the acting scene in 2014, playing the role of a model in the 14th episode of season 5 of the TV show, ‘Glee’. He has also acted in other television series like ‘American Horror Story’ (2011), playing the role of Mr. Wu and ‘Riverdale’ (2016) where he acted as Reggie Mantle. The role of Reggie Mantle was originally played by Ross Butler but because of his involvement in the Netflix film, ’13 Reasons Why’, he had to let go of the role due to clashing schedule. Speaking to INSIDER about the audition process through which he won the role, he said he had a session with the creator of the series, Roberto Aguirre-Sacasa, during the second audition and although he (Melton) had watched the show to get a feel of it in order to portray the role like the former actor, Roberto urged him not to throw himself off by trying to copy someone else. Eventually, he nailed the part. The role is obviously his biggest role so far and the actor, who could not hold back his excitement after getting the role, described the feeling as surreal in an Instagram post. The young man has also acted in some short films including ‘Faces Without Eyes’ (2015), ‘Bad Friend’ (2015), ‘The Channel’ (2016), and ‘The Thinning: New World Order’ (2018) where he played a supporting role, acting as Cage and starring alongside Logan Paul. He will be filming a movie titled ‘The Sun is Also a Star’ in 2019. Charles, a product of an inter-racial union, is an Asian-American, having a Korean and Caucasian ancestry. His father, Phil Melton, is an American while his mother, Sukyong Melton, is from Korea. Charles Melton’s sexual orientation is straight and there are speculations that he might be dating his co-star, Camila Mendes. Although the duo has always been off-screen friends, it is believed that they have taken their friendship to another level. This is because they were seen kissing in September while catching a film with fellow Riverdale stars, Casey Cott and Lili Reinhart, in Vancouver. According to the information revealed to E! News by an unnamed source, Camila and Charles sat next to each other and as the lights were dimming, they were seen kissing. 1. The Riverdale actor, who is a handsome blend of two races, is 6 feet tall and weighs 72 kg (159 lb). 2. Of all the clothes Charles has in his wardrobe, his favorite is either his Pokemon PJs or Dolce & Gabanna’s jean jacket with a bunch of beaded studs all over it. 3. He was the face of Mac Cosmetics’ first makeup line for men. 4. In the course of his modeling career, the actor has worked with Hollister, Jeff Slater, John Russo, and Designare Homme. 5. During his leisure time, Charles Melton enjoys watching food channels. 6. This gorgeous actor with ‘a body to die for’ stays in shape by going to the gym regularly. 7. His favorite movie is ‘A Knight’s Tale’.